With all the boating opportunities in Pennsylvania, it's no wonder there is so many boat dealers throughout the state offering a wide variety of boats for sale. If you like to sightsee, cruise, fish or water ski, there are dealers with your dream boat for sale. To locate a dealer near you, first select a quadrant of the state. Then find a boat dealer listed by proximity to cities, waterways, campgrounds and attractions in PA. Some of the major cities we have listed for your convenience include Williamsport, York, McKeesport, Lock Haven, Pittsburgh, Bloomsburg, Harrisburg, Scranton, Wilkes-Barre, Bradford, Altoona, Johnstown, Kane, Penn Hills, St Marys, Allentown, Hazleton, Philadelphia, Reading and Erie. Pennsylvania boat dealers are familiar with boating requirements in PA. They can easily assist you in selecting the right boat for your intended use, as well as make suggestions for boating safety and ways to keep operating costs to a minimum. 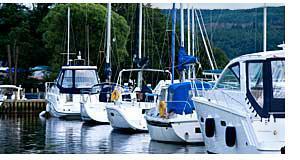 Once you acquire the ideal boat, we'll help you find places to boat in Pennsylvania. Lakes are listed by quadrant within the state for convenience. The list of major lakes includes Coxton Lake, Lake Ladore, Allegheny Reservoir, Lake Erie, Prompton Lake, Glendale Lake, Pymatuning Lake, Shenango River Lake, Blue Marsh Lake, Bradys Lake, Tamarack Lake, Belmont Lake, Lake Wallenpaupack, High Point Reservoir, Lake Arthur, Pocono Lake, Youghiogheny River Lake, Beltzville Lake, Penn Forest Reservoir and Raystown Lake. Rivers too can be a fun place to go boating and are listed by quadrant also. Some of the major rivers we've identified include Conemaugh River, Monongahela River, Allegheny River, Swatara Creek, Pine Creek, Loyalsock Creek, Juniata River and French Creek. 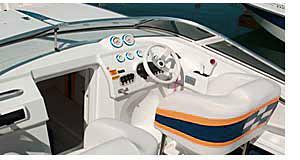 Throughout PA you may find manufacturers of boats, trailers or boat accessories including Middle Path Boats and O'Malley's Stem To Stern. Boat types commonly used on PA waters. We'll help you find the boat, waterways and resources to make owning or renting a boat in Pennsylvania an absolute pleasure. For further information about boat registration in Pennsylvania, contact the Pennsylvania Fish & Boat Commission - Boat Licenses located at 1601 Elmerton Avenue, Harrisburg, PA 17106. The phone number is 717 705-7940.